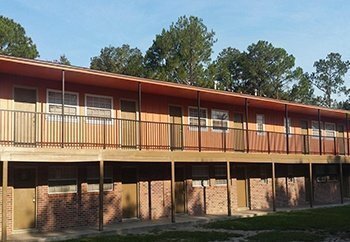 Students and staff at the University of Florida who are seeking affordable housing in Gainesville may find Forest Green Apartments a good option. 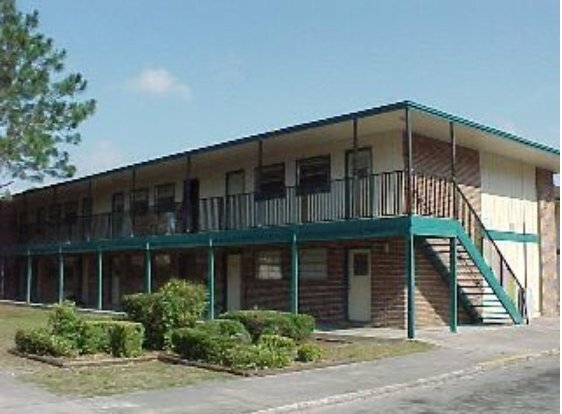 Featuring one, two, and three-bedroom units, the apartments are spacious and conveniently located in northeast Gainesville. The airport, Flatwoods Conservation Area, and Ironwood Golf Club are all nearby. To get to the University of Florida campus from Forest Green, residents will find driving a car, riding a bike, or taking the bus to be the most convenient options. At just over five miles from campus, most residents would find it too far to walk. The easiest and fastest way to drive or bike to campus is to go south from the complex to NE 23rd Avenue, and then turn left to go south onto NW 6th Street. For students with classes on the northeast part of campus, near the College of Education or the College of Business, it is easiest to access campus from 6th Street to either 2nd, 5th, or 8th Avenue. Each street crosses to campus at SW 13th Street. Students with classes or destinations on the south side of campus, near the College of Dentistry or Pharmacy, can continue to drive on SW 6th Street to SW Depot Avenue. It connects to SW Archer Road, which borders campus along the south. Several streets, including Gale Lemerand Drive and Newell Drive cut through campus off of Archer Road, and there are several parking areas in that vicinity, too. Forest Green is less than a block away from the nearest bus stop which is on the #15, 24, and 26 routes. All three routes go to the Rosa Parks Downtown Transfer Station, where you can connect to nearly any bus route in Gainesville. From the transfer station, you can take the #1 line which cuts through campus to get to class or stay on it to get to the popular Butler Plaza shopping center. For important destinations besides campus, there are grocery stores, shopping and recreation not too far away. There are several grocery stores within just a few miles, including a Publix and an Aldi. Meanwhile, Butler Plaza and the Oaks Mall are only about 30-minute drives with Butler Plaza being along SW Archer Road while the Oaks Mall is at the end of NW 8th Avenue near Interstate 75. Both are popular destinations for shopping, dining, and even finding part-time jobs!